Once you get your paper documents into Neat, we enable powerful collaboration functionality designed to streamline how you communicate and share with customers, partners and employees. Select a folder, tap the Share icon, and share read-only access to that folder. You’ll be able to view and add comments to items in shared folders, for convenient collaboration. Comments appear in a conversation-like exchange from each user. 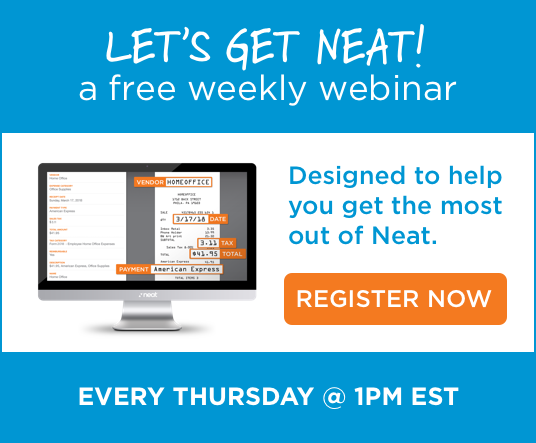 Neat makes it easy to work with others, even if they aren’t Neat users. You can even have multiple users for one Neat account, making it perfect for small businesses or entrepreneurs on the road. That’s Neat!